Even if they’re much bigger than the typical critters that get into your home, raccoons have their own ways to enter your home, and once they’re in, it ‘s hard to get them out. If you have holes in your soffits, raccoons can easily fit through them and gain access to your attic; the ideal home for them. But raccoons in your attic can cause even more damage than mice and rats could, due to their sheer size. 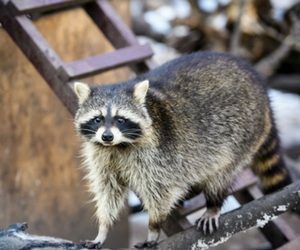 Knowing the signs of a raccoon infestation is the key to keeping your property and your family safe from significant damages caused by these critters. Any loud noises in your attic like thumping, crying, scratching, or purring, especially at night, is a good sign raccoons are up there. Their noises will be a lot louder than those of rats and mice because of how much they weigh. Another sign you might have raccoons in your home is if you see odd stains on your ceiling. This is an indication that the urine and feces that have accumulated during the raccoons stay in your attic have started to soak into the insulation. This can ruin your home’s heating and cooling system, and cost hundreds to repair. The best way to get raccoons out of your attic is to hire a professional raccoon removal company like Critter Control® Miami. Attempting to get raccoons out of your attic on your own is never advised and could result in injury or even contraction of a deadly disease like rabies. When we remove the raccoons from your home, we’ll also repair any damages they made, and seal off any entrance holes they could have made to prevent a future infestation. To schedule your free consultation, call us today at 305-258-3587.